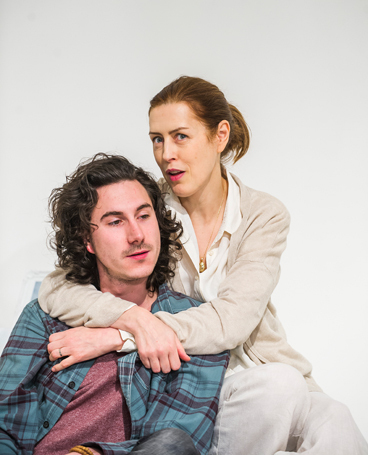 Following The Father, Florian Zeller’s extraordinary play charting the mental disintegration of an elderly man as he succumbs to Alzheimer’s, we now have The Mother, a no less painful study of a middle-aged woman’s sense of growing loss and suspicion as first her daughter, then her beloved son, gain their independence; she also fears her husband is about to leave her. 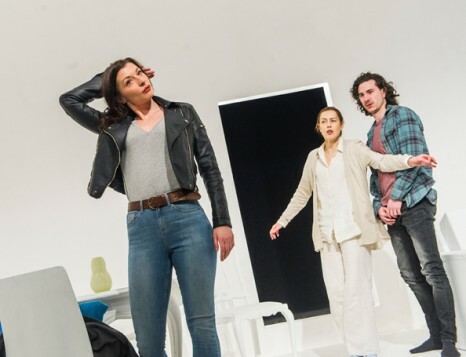 Like The Father it’s making its London debut at the Tricycle after premiering in Bath, and is being presented in a translation by Christopher Hampton. Both plays use similar dramatic techniques in that they tell different versions of the same story in repeated sequences, so that the audience are left unsure of what is real and what is taking place in the imagination of the protagonist. 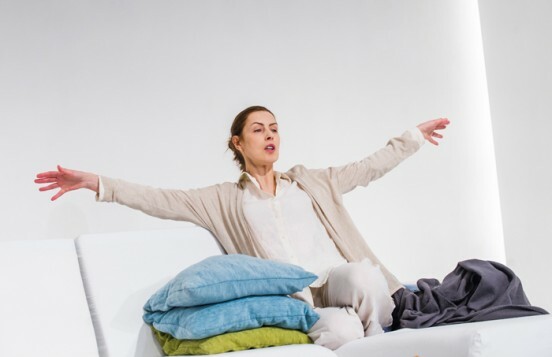 That may have made a different kind of sense when showing an Alzheimer sufferer’s slippery grasp on reality, but here it also pays rich dividends. 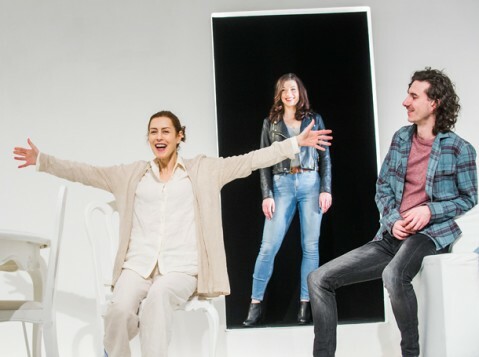 Zeller is on an incredible roll – he has another play due at the Menier Chocolate Factory in March called The Truth – and The Mother is a desperately poignant portrait of a woman losing the anchors in her life and her own grip on reality as a result. 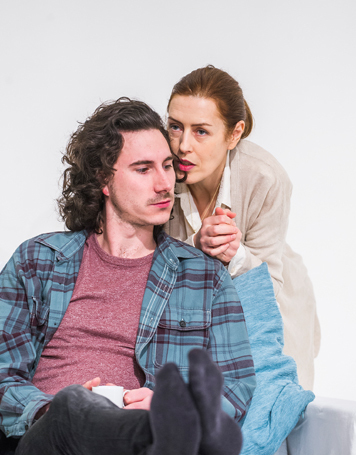 As Gina McKee’s Mother looks back over a 25 year marriage to Richard Clothier’s Father, their 23-year-old son (played by William Postlethwaite) returns home after his own relationship to Frances McNamee’s Girl flounders. 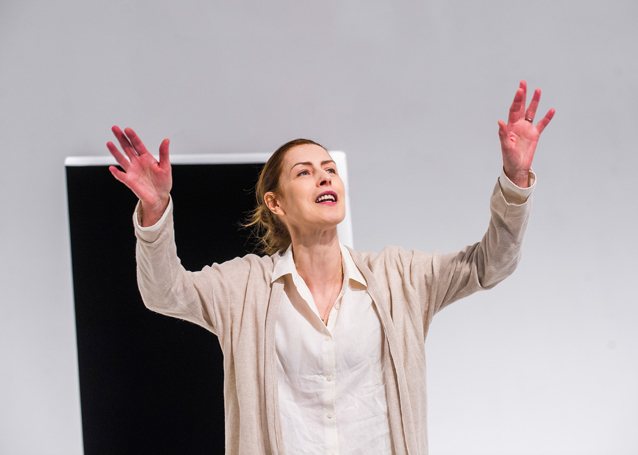 The character of the Mother is played with an open and searing vulnerability by McKee; just like Kenneth Cranham in The Father, she ambushes the audience with the palpable feelings of loss she is experiencing. 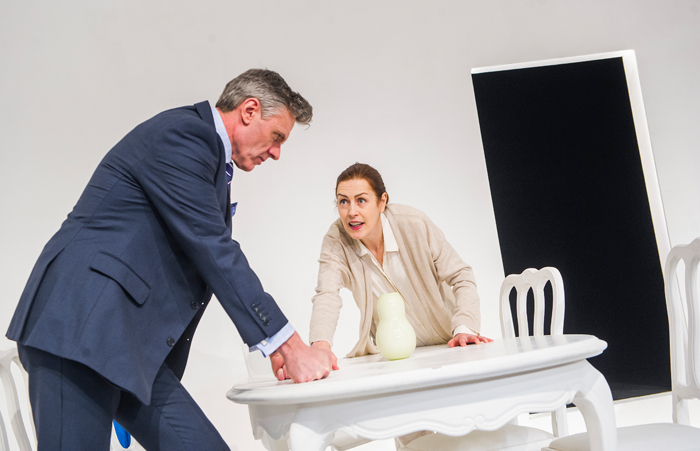 Laurence Boswell’s production, played on Mark Bailey’s immaculate all-white set – furnishings, walls, the lot – orchestrates this beautiful yet bruising play with an intense sense of concentration.